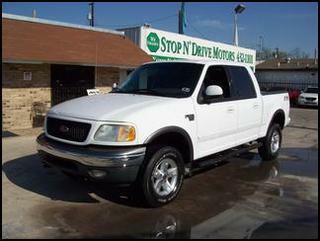 Stop N’ Drive Motors Selling Used Cars in San Antonio, TX. I’m back for my 3rd Truck. They treat me like family and make buying a truck fun. 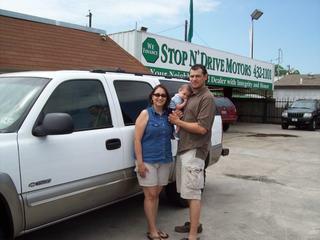 We found the owners & staff at Stop N' Drive to be very nice, respectful and honest people. Their dealership was modern and very clean. 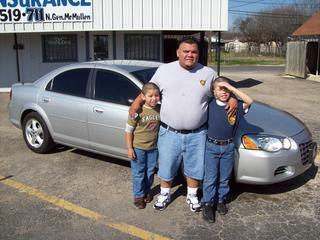 We are very, very, very satisfied with our Suburban, as well as our entire shopping experience with them. 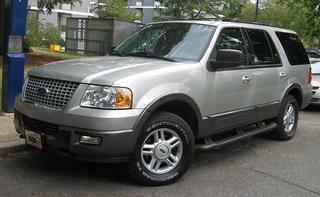 We highly recommend Stop N' Drive to all families looking for a great vehicle and an enjoyable purchasing experience. Second Time to Buy from Stop N' Drive! 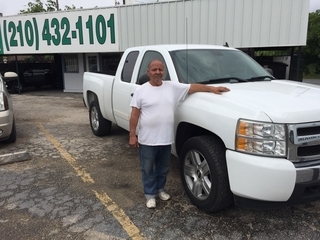 This is the second vehicle I've purchased at Stop N Drive - Robert & Nelsen found the exact vehicle I was looking for and matched the down payment and monthly payments to my budget - I'll recommend my friends to Stop N Drive Motors - THANKS!!! I loved the "Family Style" courtesy that you showed to our family. We needed more room for our adopted babies and everyone helped us tremendously. We're definitely coming back for our next vehicle in a few years. We LOVE Jackie ! !